The adjustable grip hitch for sea kayak sailing rig stays. "You say that your stays are a "fixed length" but you seem to have some sort of slip knot (see pic ) for adjustment. May I ask what knot you are using?" 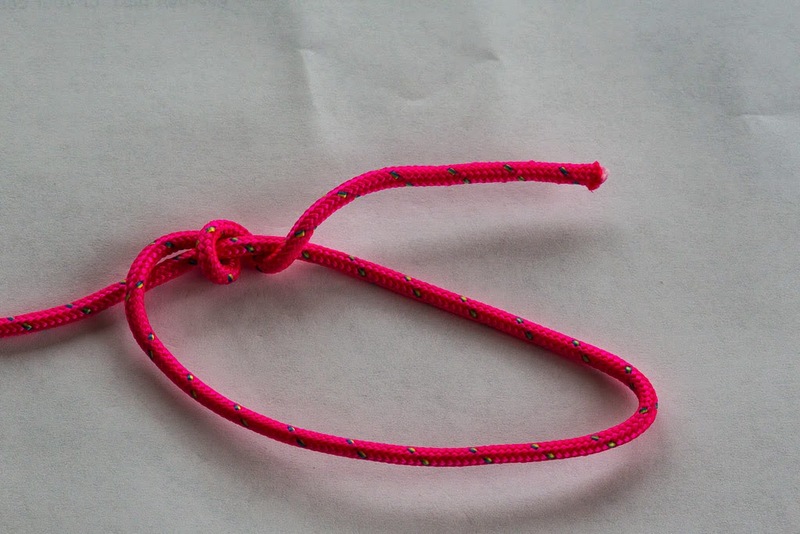 Yes I do use a locking slip knot for fine adjustment. Previously Geoff has recommended a trucker's hitch (which needs tied every time) and Shawn Armitage has recommended the easier to adjust three-turn tautline, both of which I have used previously. I have also used the Clamcleat CL266 Mini Line_Loks which are very easy to adjust but these slip in winds at the top of F4. 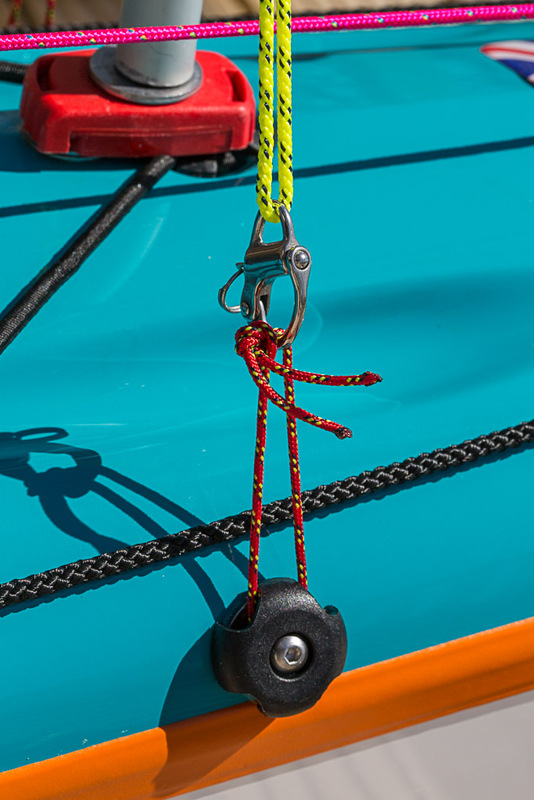 I currently use the adjustable grip hitch as it is as easy to adjust as the three turn tautline but it is also easier to remember how to tie in the field. 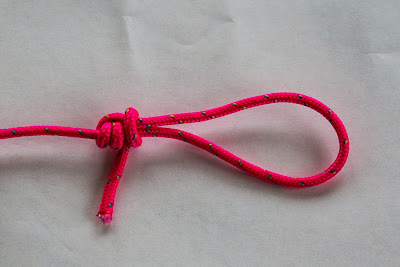 Start by making a loop by bringing the loose end over the stay (which is tied to the mast at its other end). Now wrap the free end twice round the stay side of the loop. Now take the free end once more over the stay side of the loop and bring it back under both sides of the loop and thread it through itself. Pull the knot tight. 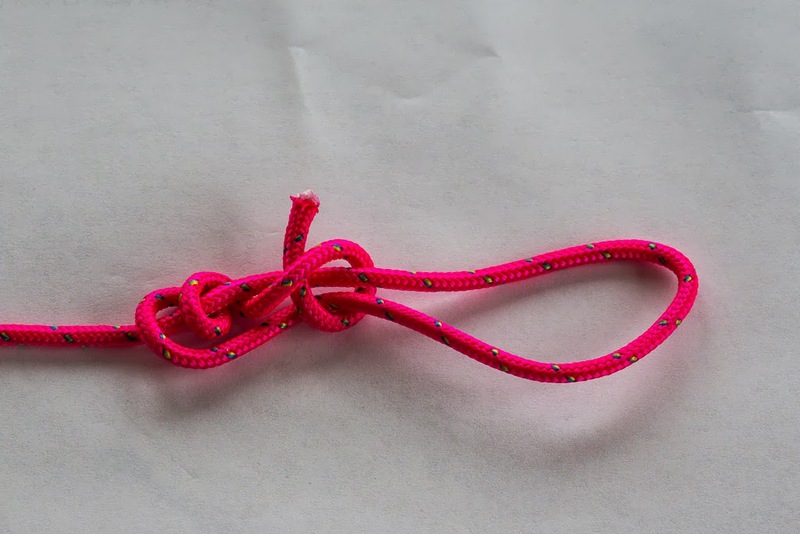 If you pull the end of the loop, the knot locks tight. 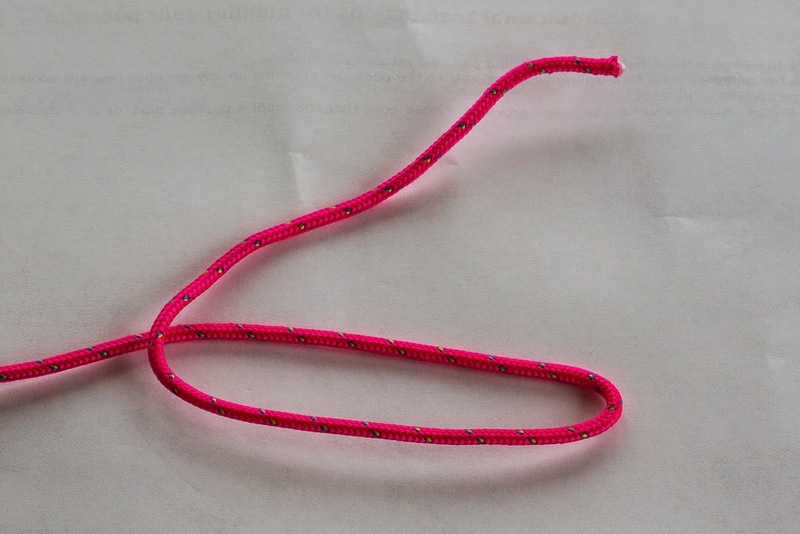 However, if you grip the knot itself you can easily slide it in either direction to make the loop longer or shorter. 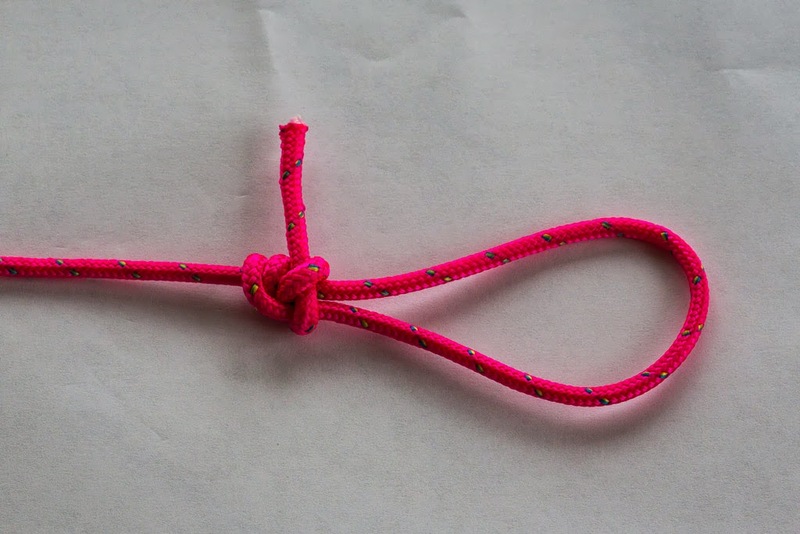 The reverse of the knot looks like this. I normally thread the loop through the closed end of a 32mm snap shackle. 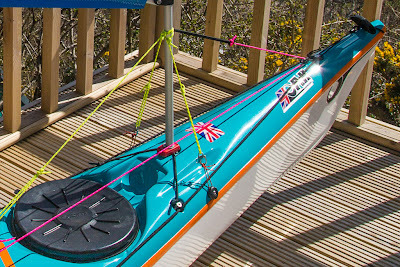 This means that I can quickly remove and replace the rig from the kayak without knot tying. To get the tension in the side stays just right, I bend the mast back then gradually shorten the stays by sliding the grip knots. I test the tension by putting the mast into the vertical position, repeating the process until I get the stays "twang tight".